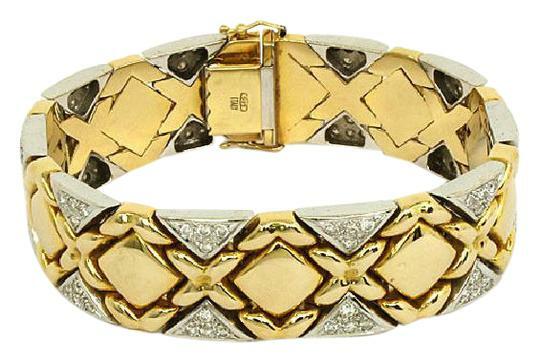 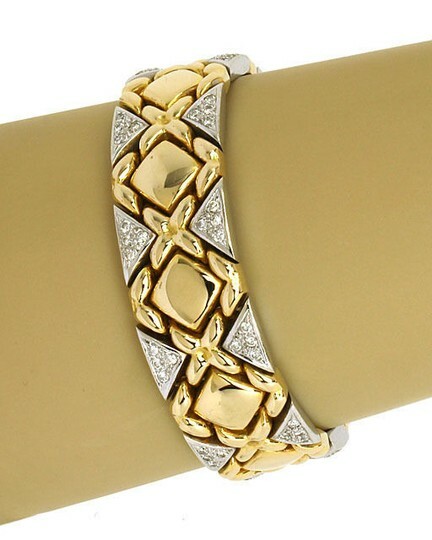 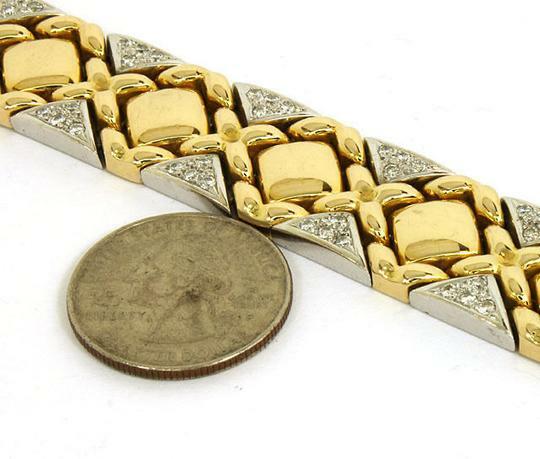 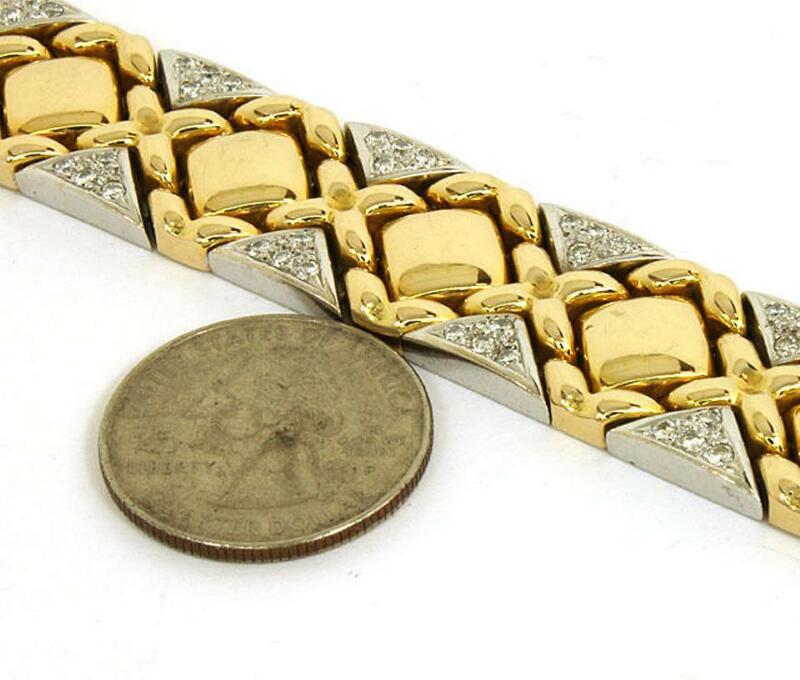 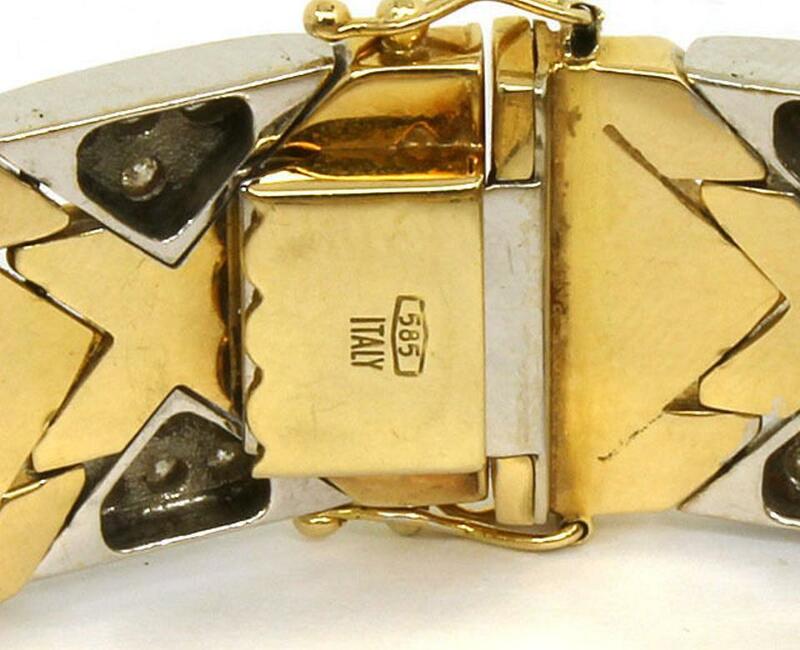 This is a lovely two tone 14k gold and diamonds ladies dress bracelet. The piece is well crafted in solid 14k yellow gold with a smooth high polished finish adorned with diamond set 14k white gold links. 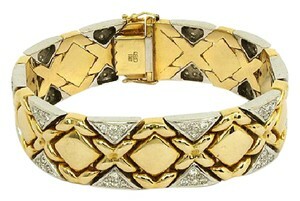 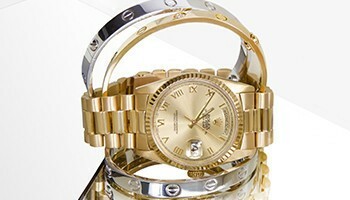 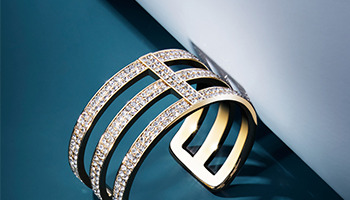 In all, the bracelet carries 1.75 carats of round cut sparkling diamonds.